The 2017 Senior Awards Ceremonies were held before a packed house at the beautiful auditorium of Miami Beach Senior High School on May 24, 2017. The program was led by Nina Duval, lead teacher and former chair of the school’s tremendous Fine Arts Program. 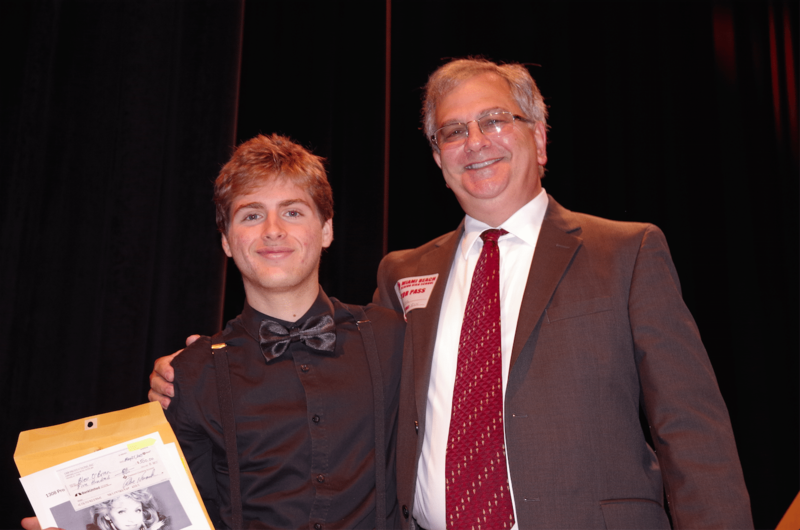 Attorney, former Mayor, and Beach High alumnus Paul Novack was on hand to represent 1308 Productions in presenting the Fourth Annual Carole Taran Award to the school’s most outstanding student in the performing arts. Mr. Novack paid tribute to everyone present, especially all of the graduating seniors, and their teachers, family members, and friends. He noted that reaching their level of achievement has been a team effort, a great reflection of the world class success of the Beach High educational experience. The Novack family sponsors non-profit, public service 1308 Productions, which was founded by Jason Novack and Allison Novack, who are also alums of Beach High. 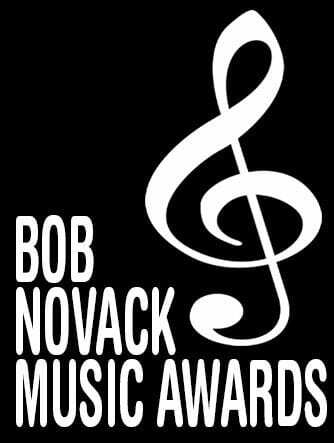 Since 2003, 1308 Productions has supported and promoted music education in public schools, has sponsored music events for youth in the community, and has presented awards at Beach High, Nautilus Middle School, and Bay Harbor K-8. Mr. Novack paid a particular salute to the corps of teachers who have boosted the lives of the community’s students, giving particular thanks to Nina Duval, Ken Speigelman, David Guthrie, and Maria Sahwell, for their leadership and devotion to Beach High’s students. The Carole Taran Award for Excellence in Performing Arts is a memorial for a great singer, dancer, actress, and producer, who got her own start at Beach High. Carole was active in music and performance throughout her high school years, performing in all of the school’s plays, events and productions. 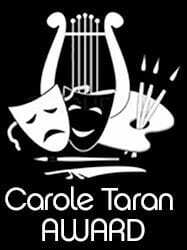 Carole Taran Lee went on to a career in entertainment that spanned over five decades, and her success as an entertainer and as a producer has received widespread acclaim. She led the nationally renowned events production company Adam Productions. In her memory and honor, the top outstanding student at Beach High has been recognized each year since Carole’s passing in 2013. Bleu O’Brien has performed in nine school productions, five as the main character. He was earned a reputation for thoroughly researching each role, and for meticulously preparing for each performance. He has been featured in international and district competitions in several categories including Small Group Musical, Small Group Ensemble, Monologue, and Duet Acting. He received the 1016 All Star Award at the District One Competition. Bleu is also an accomplished film maker, on screen talent, and news anchor. He won the 2016 Best Film and Best Director Awards at the Miami Beach Film Festival. Bleu has also served as President of the Thespian Society at Beach High. His next act, and next challenge: attending the American Academy of Dramatic Arts in Los Angeles, California. 1308 Productions congratulates Bleu O’Brien on the Award and on his talents, success, and launch from high school into the future. He received the Award, a $500 scholarship check from 1308 Productions, his name was inscribed on a perpetual plaque on display at the school, and he earned the widespread recognition that goes with joining the prestigious group of students who have been honored in memory of Carole Taran.